Shayla Who? : art & the visually impaired. art & the visually impaired. it all started with the new york times piece "the art of slowing down in a museum." the article itself is wonderful ("what if we slowed down?" it asks. "what if we spent time with the painting that draws us in instead of the painting we think we're supposed to see?") & addresses something that nags at me whenever i visit a museum: do i zoom through to the heavy hitters & quickly glance at the pieces along the way, in order to check off some kind of "famous paintings i've seen in person" bucket list? or do i slow down & pause for longer periods of time at more paintings - including the lesser-known ones? while there's no one correct way to experience a museum, james o. pawelski (a directer of education for the positive psychology center at the university of pennsylvania) says, "when you go to the library, you don't walk along the shelves looking at the spines of the books & on your way out tweet to your friends, 'i read 100 books today!' yet that's essentially how many people experience a museum." that kind of humbled me. ANYWAY, this is a very tl;dr intro to a part of the article that i really loved. 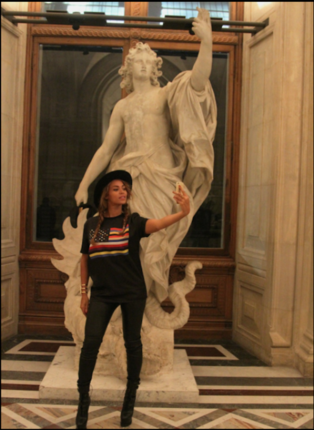 the piece points out that many museums are actually encouraging museumgoers to mimic the pose of a statue & take pictures of it, because it helps them form a new appreciation for the piece. the author then adds, "in fact, taking on the pose of a sculpture, for example, is something the Met does with visitors who are blind or partially sighted because 'feeling the pose' can allow them to better understand the work." i loved this idea of enhanced accessibility for visually impaired museumgoers so much, i kind of got caught in an internet rabbit hole of reading as much as i could about it. there are so many programs & methods out there for helping blind, visually impaired, & in other ways disabled people appreciate art & museums. anyway, it was kind of fun to learn more about it. art beyond sight is doing great things to help blind people learn about, appreciate, & create art. here is their twitter account, & there's also new york beyond sight where new york city residents describe their favorite landmarks. cool! programs at the met for the blind or partially sighted. an article in disability studies quarterly entitled, "from the mind's eye: museum & art gallery appreciation for the blind - canadian perspectives," with this line, "enjoying art is less about seeing, and more about thinking." it's a little long, but worth a scroll-through, at least. 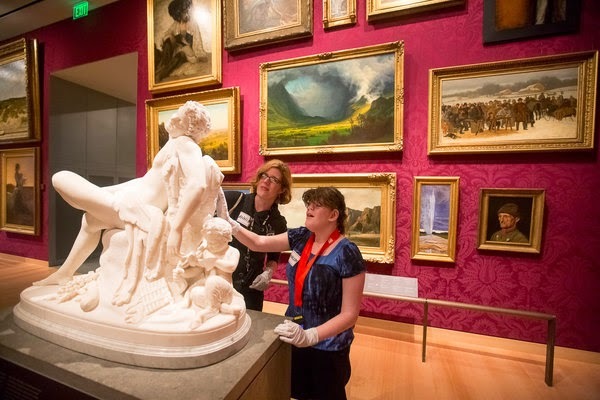 a nyt article titled "welcoming art lovers with disabilities" lists several ways museums are creating new & innovative programs all the time to further enhance the museum experience for disabled people. i would highly recommend reading this piece - it's a fun one. 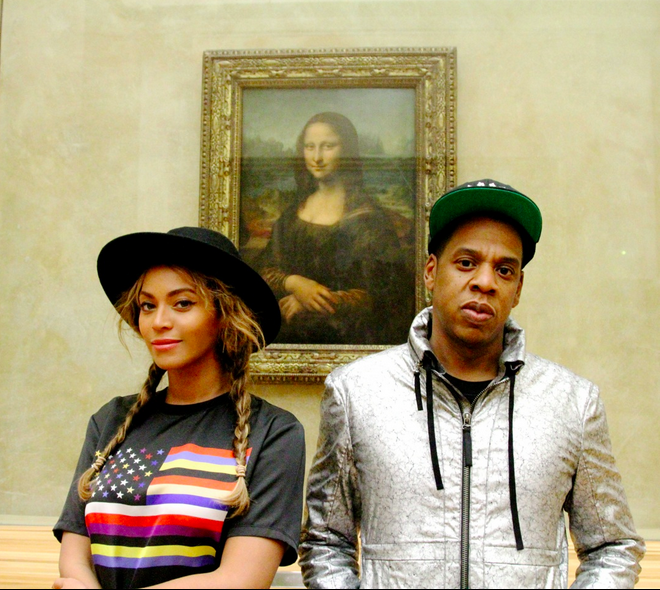 one writer shadows a married couple for a day as they visit the Met. she is blind; he is not. the writer notes details from him firmly placing his hand on her back as they navigate the crowded lobby and her clutching tight to a list of works she wanted to see, to a step-by-step outline of the way he methodically & lovingly describes each work to her. a few links from around the internet. dressing the bump: attempt #68 (27 weeks). ben, the newly minted tough mudder.